Before finding the easiest, perfect recipe, my advice for making caramel sauce was going to be pray first. I was also going to recommend having a lot of sugar and cream on hand, and if the kids are home, try not to let too many explicatives fly as you pour your failed experiment down the drain. That all just makes you want to run into the kitchen and waste some time and ingredients, eh? After four batches, with only one success, I thought maybe it wasn’t me. Maybe it was the recipe. I’m a fairly accomplished cook, and while I’m not averse to making mistakes in the kitchen, something as simple as caramel should not have stumped me. This is one of those times I wish I had a professional culinary education. The self-taught road can be a costly education, but I figure I’m still ahead of the game financially. I decided to scout for a new recipe, and came across Elise’s over at Simply Recipes. I think what made her recipe successful for me, is it didn’t call for adding water. She suggests you can do so if you’re worried about the sugar burning, but she also cautions it will take longer since the water has to evaporate before the sugar can begin to caramelize. This was a key difference compared to the first recipe I’d be been working with. My first attempt at Elise’s recipe was an instant success. To be sure it wasn’t a fluke, I made another batch (because worst case scenario, you have too much caramel sauce, and that’s a good situation to be in). Then I made a third. You can never too sure, or have too much caramel. The most important rule about making caramel sauce is patience. This is not the kind of thing to make when the kids are in meltdown mode. The wasted sugar and cream will likely send you over the edge too (not that I’m speaking from experience or anything like that). It can also be dangerous with little ones underfoot—melted sugar is scaldingly hot. All that said, though, it really is incredibly easy to make as long as you plan it properly. All you need is 10 minutes of undivided attention. A luxury for us mommies, but well worth finding the time. Aside from eating it straight up, drizzling over ice cream, stirring into hot cocoa or steamed milk, I also discovered it’s my favorite topping for donuts. This recipe was barely adapted from the one posted at Simply Recipes. The only difference is I used 4 tablespoons of butter instead of 6, and stirred vanilla bean into the finished sauce for a twist. 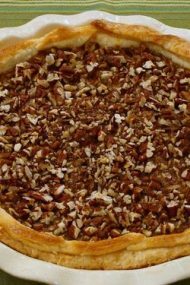 Elise also has great step by step photos, so go take a look at them and get the recipe directions while you’re there too. Just before the sugar starts to melt, it will appear to “seize” and look crystalized. This is a normal stage in the transformation, so don’t get nervous. Within a minute or so, it will then breakdown into a golden syrup. As Elise notes, the caramel foams up considerably when you add the cream. This also causes an extreme amount of steam, so best to keep your face at a distant and not hanging directly over the pot. Nonstick vs. Stainless Steel. I haven’t tried nonstick with Elise’s recipe but found it to be insufficient when using the old recipe I’d been working with. I’ve since stuck to a 4-quart stainless steel stock pot. Due to the cream, homemade caramel sauce cannot be canned, but this still shouldn’t stop you from giving it as holiday gift. Just be sure to make it within a few days of giving and let the recipient know it must be refrigerated and lasts for 2 to 3 weeks. Heat milk in the microwave for 30 seconds (based on a 1000 watt oven). If you have a hand frother, then use it until the milk is foamy. If the pumpkin was stored in the fridge, heat it in the microwave for 15 seconds. Add the coffee, pumpkin, cinnamon and caramel to a mug. Stir to mix well. Pour in the “steamed” milk and enjoy! YUM! There is nothing like homemade caramel but it’s SO time consuming standing by the stove stirring constantly. I’ll have to give your recipe a try though. 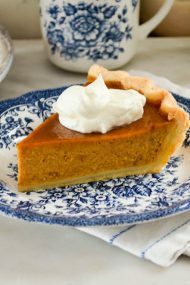 Sounds delish and love that you added your recipe for pumpkin spice cafe au lait. Thank you! What’s great about making this type of ‘dry’ caramel, is that you can actually control it a bit more. Beginners can start by cooking only partial amounts of the sugar til it begins to melt & get dark, adding more, cooking, melting til all sugar is used. IF the sugar gets too dark, there’s no worry because adding more sugar lightens it up. I’m definitely willing to devote 10 minutes of my “nap time” for surefire yummy caramel sauce! 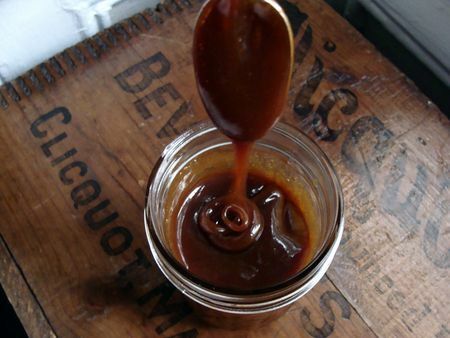 I have a Dark Chocolate Caramel Sauce i make and it really is easy to make your own. I gave it out last year as teacher gifts and the recipients were all very happy. I love the idea of making a coffee drink with it. Gail—thank you so much for the tip on melting the sugar incrementally and how to save it if it gets too dark! Robin—How can you tease us with talk of dark chocolate caramel sauce and no link to a recipe? I have a recipe for a Caramel Sauce I posted earlier on my blog this morning. It’s actually the topping for an Apple Cake. But I swear that caramel sauce comes out effortlessly perfect every time I make it – unlike the majority of times when I used other methods in the past trying to create caramel. It’s pretty simple – sugar, heavy whipping cream and a little butter. And I’ve even done it without the butter. But absolutely no water. I’ve added vanilla. I’ve added rum. But it’s not necessary. Oh boy – that moment when melting sugar or chocolate seems to seize always makes my heart leap into my mouth! Not so bad with affordable sugar – terrible when you’ve spent a small fortune on expensive Lindt chocolate! 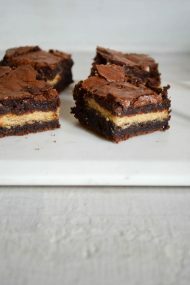 I have definitely had my share of caramel disasters… I will definitely be giving this recipe a try next time! Is there anything better than caramel sauce? It seems to go well with everything from simple vanilla ice cream and even with this delicious cafe au lait. yum!